Makhosi Khoza has announced her resignation from the ANC. "I want to say goodbye to the new alien and corrupt ANC. I quit," she said at a media briefing at the Lilliesleaf farm in Johannesburg on Thursday. "I will not be led by leaders who lost legitimacy and credibility. "So it is with a heavy heart that I have to say that this is no longer the ANC that I know. This ANC is alien and corrupt. The ANC has been hijacked by this alien and corrupt type. I reject its leaders, but I do not reject the members of the ANC. "I am not going to join the DA [however] I am not leaving the ANC mission. There is a distinction between the ANC values and its leaders." "I don’t believe the ANC can self-correct," an emotional Khoza said. "This self-correction is not coming. There’s no chance to survive unless as [ANCWL president] Bathabile Dlamini calls it, you have smallernyana skeletons." 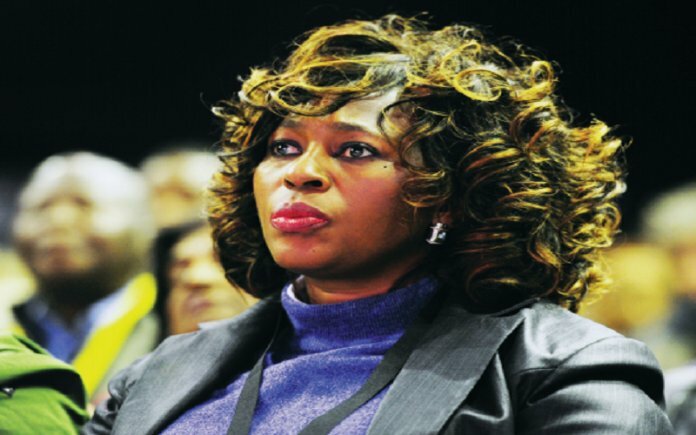 Khoza, one of the ANC’s MPs, has been criticised by some of her comrades for speaking out against the party’s president Jacob Zuma. She was also hurled before a disciplinary hearing by the ANC in KwaZulu-Natal after she announced that she would vote according to her conscience in a motion of no confidence against Zuma. The ANC in KZN however has said this was because she had brought the party into disrepute with her continued criticism of Zuma in the public domain. “Yes colonialism oppressed us. Yes apartheid oppressed us. But it’s more painful when your own people oppress you,” said Khoza who had her children with her at the briefing for support. The former chairperson of the of the public service and administration portfolio committee said she humbled herself before the ANC leadership over recent months. She also thanked several women within the ANC for supporting her, these included Barbara Masekela, Gertrude Shope, Lindiwe Mabuza, Frene Ginwala, Winnie Madikizela-Mandela and Sheila Sisulu.